Interview with All Through the House Director, Todd Nunes! A few weeks ago, I got to check the awesome Christmas slasher flick All Through the House (read my review here). If you’re looking for some fresh Yuletide horror this holiday weekend, I can’t recommend this film enough. 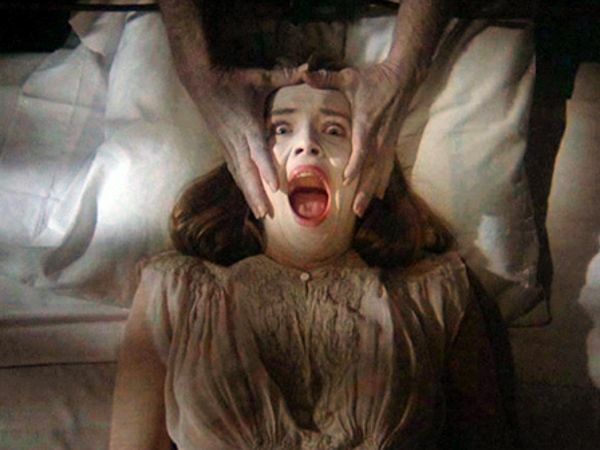 I reached out to the film’s director, Todd Nunes, about the film’s productions and his classic horror inspirations, and he was so kind to oblige me with an interview. Check it out below, fiends. Halloween Love: I want to start for thanking you for making such a fun Christmas horror flick. They seem to be few and far between. I’ve always found the holidays to be a perfect backdrop for genre cinema. What drew you to crafting a Christmas slasher? Todd Nunes: Thank you Zachary. I’ve always thought Christmas was the prefect back drop for a horror movie. Christmas really comes to life at night with lights and Santa entering your house while your sleeping… There is just something creepy about the legend of Santa that has always made me uneasy as a child. I was always interested in the darker Christmas tales growing up. “A Christmas Carol” and “How the Grinch Stole Christmas” scared me as a kid, as well as, fascinated me. HL: It’s safe to say that any iteration of The Ghost of Christmas Past is always nightmare fuel. Watching your film, I noticed several nods to some of the slasher classics of the 80’s as well as some of the great giallo films of the late 70’s. It’s a fine line to toe between homage and rip-off, but I felt you managed it really well. What would you say was the biggest cinematic inspiration for the film? What was your favorite little Easter egg that you hid in All Through the House? TN: there are quite a few Easter eggs… Big and small hidden throughout the movie. I was really inspired by Halloween, Friday the 13th, Prom Night, Pycho, Black Christmas, Maniac, Gremlins and Deadly Blessings. There has been a lot of talk about Sleepaway Camp being a major inspiration, but honesty, I was never a big fan of that movie. I would say, I was far more inspired by Wes Craven’s Deadly Blessings when it comes to the twist. HL: Wow. That’s interesting. I hadn’t actually thought of that one, but I see it now. Deadly Blessing is vastly underrated in my opinion. That finale is just batshit, much like in your film. Oddly enough, Sleepaway Camp never crossed my mind while watching your film. In one scene a soon to be victim is reading a book that happens to be The Butcher, Baker, Nightmare Maker novel! That film (aka Night Warning) is one of my favorite hidden gems from the 80’s. Was there any symbolism to it, or was it just the cool cover? TN: I absolutely loved Night Warning and Susan Tyrrell was amazing in that movie. I think she was the female Jack Nicholson of that time and didn’t get the kind of success she deserved. HL: Yes, her performance is off that charts, and I immediately drew comparisons between her and Melynda King as Mrs. Garrett in your film. Louise Lasser in Blood Rage is another great, unhinged female performance. Love it, and we need more of it in modern horror! Also…that purple room?! I have to know if such a place exists in the real world or was that all thanks to production designers and your vision, because I would totally live there. TN: That room absolutely exists… We’ve gotten a lot of comments on that room. It was completely by accident that Jennifer Wenger’s lingerie matched. The bed however was constructed for the movie. HL: This being a smaller indie film, I know just how stressful the restraints can be. Were there any major set-pieces or story beats that had to get cut from the final shooting script? TN: There where a lot of scenes that got cut for one reason or another. We tried to get everything we could. We had to cut out a lot of scenes that gave some of the characters more back story. We also cut out a kill scene that didn’t work and a shot of the killers face in the end. HL: What was the production like? How many shooting days? TN: We shot the majority of the movie in about 7 days. It was extremely exhausting, but time is money and our budget was really low. The movie was made by the dedication and passion of the cast and crew. HL: Wow. That is absolutely amazing. There’s a level of polish that I can’t imagine achieving in that amount of time. I shot a feature in six days once…and it totally looked like it was shot in that short period of time. It was pretty bad. Bravo, sir. Any words of advice to us aspiring low budget Cravens, Carpenters, and Argentos of the world? TN: Always have a plan B. I spend just as much time planing out Plan B as I do plan A. Something always comes up and your vision will need to change based on circumstances out of your control. A good plan B will save the day. HL: Without getting spoilery, the ending certainly lends itself to what could be a very unique sequel. Are there any chances of that happening? TN: There has been talk about a sequel. In fact, there is an outline for 2 more movies. There are a lot more demented twists to explore and much, much more to this story. Hopefully it will happen. HL: Fingers crossed. Be sure to keep us posted. I’d be down for it; that’s for sure. I read on IMDb this was actually based on a short film. Is it out there for us to see somewhere online? Was it instrumental in getting this production off the ground? TN: There is a short film that was on YouTube for awhile. It got pulled once we entered production. It really wasn’t all that instrumental in getting the movie made. I did an 80s inspired slasher movie called Scary Larry. That movie will most likely never see the light of day, but it did get my foot in the door and lead to All Through The House. HL: Are there any past or future projects our readers should know about? TN: I’m currently at work on the remake of Don’t Look In The Basement called Death Ward 13. The script is written and we will be deep in pre-production starting in January. We have some real exciting news that I can’t wait to reveal. You can get information on our Facebook page and our website at deathward13.com. HL: That’s exciting. Don’t Look in the Basement is one of the few gaps in my horror-completist watchlist. I’ll definitely try and make some time for it now. Well, Christmas is only a few days away now. Other than All Through the House, what other holiday horrors do you recommend? What have you been watching yourself? TN: I LOVE all Christmas horror movies and I’m enjoying all the new films coming out. But, my favorite Christmas horror movie of all time is the original Black Christmas. HL: Preach! 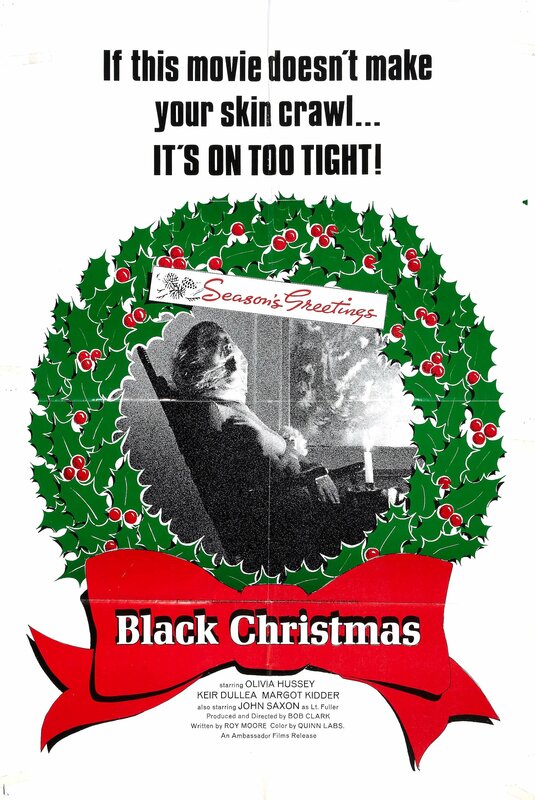 Yes, Black Christmas isn’t just my favorite Christmas horror film, it’s one of my favorite films of all time. Todd, let everybody know where they can find All Through the House for their twisted holiday viewing this weekend. TN: All Through The House is available on Blu-Ray/DVD on Amazon. It is also available on iTunes, Vudu, PlayStation, Xbox and Cable VOD. HL: So, in other words, if you are reading this you have no excuse not to track it down! I seriously recommend it to fans of 80’s slashers. It’s a jolly good time. Thanks so much for taking the time to chat with us. Again, I really enjoyed your film and look forward to adding it to the list of Xmas horror classics I revisit every December. Any parting words you would like to share with us? TN: I just want to thank everyone who has supported us and helped get the word out on our Santa slasher. We could not have done this without the incredible support we have received from the horror community. This has been a dream come true and I couldn’t ask for a better Christmas present. HL: Thanks again, and best wishes to you and yours! You can check out All Through the House on Amazon here.